Exclusive Sales and Marketing Team: Stockworth Realty Group.  The Ritz-Carlton Residences, Orlando is not owned, developed or sold by The Ritz-Carlton Hotel Company, L.L.C. or its affiliates (“Ritz-Carlton”). Developer uses The Ritz-Carlton marks under a license from Ritz-Carlton, which has not confirmed the accuracy of any of the statements or representations made herein. THIS IS NOT AN OFFER TO SELL, OR SOLICITATION OF OFFERS TO BUY, THE CONDOMINIUM UNITS IN CONNECTICUT, IDAHO, NEW JERSEY, NEW YORK, OREGON OR OTHER JURISDICTIONS WHERE SUCH OFFER OR SOLICITATION CANNOT BE MADE OR ARE OTHERWISE PROHIBITED BY LAW, AND YOUR ELIGIBILITY FOR PURCHASE WILL DEPEND UPON YOUR STATE OF RESIDENCY. THIS OFFERING IS MADE ONLY BY THE PROSPECTUS FOR THE CONDOMINIUM AND NO STATEMENT SHOULD BE RELIED UPON IF NOT MADE IN THE PROSPECTUS. THE INFORMATION PROVIDED, INCLUDING PRICING, IS SOLELY FOR INFORMATIONAL PURPOSES, AND IS SUBJECT TO CHANGE WITHOUT NOTICE. ORAL REPRESENTATIONS CANNOT BE RELIED UPON AS CORRECTLY STATING REPRESENTATIONS OF DEVELOPER. FOR CORRECT REPRESENTATIONS, MAKE REFERENCE TO THE BROCHURE AND TO THE DOCUMENTS REQUIRED BY SECTION 718.503, FLORIDA STATUTES, TO BE FURNISHED BY A DEVELOPER TO A BUYER OR LESSEE. WARNING: THE CALIFORNIA DEPARTMENT OF REAL ESTATE HAS NOT INSPECTED, EXAMINED, OR QUALIFIED THIS OFFER. Developer makes no express or implied representation or warranty about the accuracy, completeness, reliability, or timeliness of information provided on this Site. You should not use or rely on the information on this Site as the sole basis for making financial, tax, accounting, investment, business or legal decisions. Instead, you should consult primary sources of information that are more accurate, complete, reliable, and timely. You agree that you have responsibility to monitor changes to this Site. Developer reserves the right to modify this Site at any time without notice, but does not undertake any responsibility to update or correct the Site. Any prices listed on this Site are subject to change at any time and without notice, and do not include optional features, design packages, furniture packages, or premiums for upgraded units. Please check with the sales center for the most current pricing. With respect to information posted on this Site, all dimensions, room sizes and floor plan measurements are approximate and may vary per unit. Dimensions, floor plans and unit features are preliminary and proposed only. We reserve the right to modify, revise, change or withdraw any or all of same in our sole and absolute discretion and without prior notice. Developer does not represent or warrant that the actual dimensions and square footage of the units will be as shown on the floor plans located on this Site or as set forth in any other promotional materials. Dimensions and square footage are approximate and may vary depending on how measured and based upon actual construction. Also, locations and layouts of windows, doors, closets, plumbing fixtures, and structural and architectural design elements may vary from concept to actual construction. All improvements, designs and construction are subject to first obtaining the appropriate federal, state and local permits and approvals for same which may require us to alter any design, floor plan, or layout depicted. The furnishings and décor illustrated, including all fixtures and items of finish and decoration, are for display only and are not included with the unit. Please refer to the prospectus and your purchase agreement for additional information regarding what is included with the unit. The features, plans and specifications described in this site are proposed only, and the Developer reserves the right to modify, revise, replace or withdraw any or all of same in its sole discretion and without prior notice. Nearby attractions, restaurants, shopping centers, facilities, amenities and activities that may be referenced or identified on this Site are off-site and not controlled by Developer and some may not yet exist. Information provided on this Site regarding nearby attractions, restaurants, shopping centers, facilities, amenities and activities, whether existing or proposed, has been obtained from news articles and other sources of public information and is believed accurate as of the date that the Site was last updated. However, there is no guarantee that any, or all, nearby attractions, restaurants, shopping centers and activities will exist or be fully developed, as depicted. The proposed brand, managing entities, features, interior designers, spas, fitness facilities, amenities, restaurants, and services (if any) proposed within the condominium and referred to on this Site are accurate as of the date that the Site was last updated; however, there is no guarantee that all, or any, of the proposed brand, managing entities, features, interior designers, spas, fitness facilities, amenities, restaurants, and services (if any) will be involved at, or included in the condominium. Developer reserves the right, in Developer’s sole and absolute discretion, to change or remove the brand, managing entities, features, interior designers, spas, fitness facilities, amenities, restaurants, or services (as applicable). Regarding floor plans: There are various methods for calculating the square footage of a unit and depending on the method of calculation, the quoted square footage of a unit in advertising materials may vary from the square footage of a unit as stated or described in the declaration. The dimensions in the unit shown in these floor plans have been calculated from the exterior boundaries of the exterior walls to the centerline of interior demising walls and in fact vary from the dimensions that would be determined by using the description and definition of the “unit” set forth in the declaration (which generally only includes the interior airspace between the perimeter walls and excludes interior structural components). For the precise unit boundaries, please refer to the Declaration. Note that the measurements of the rooms set forth on the floor plans are generally taken at the greatest points of each given room (as if the room were a perfect rectangle) without regard for any cutouts. Accordingly, the area of the actual rooms will typically be smaller than the product obtained by multiplying the stated length times width. All dimensions are approximate and may vary with actual construction, and all floor plans and development plans are subject to change. See the declaration for additional information regarding the calculation of the unit square footage and dimensions. No real estate broker or sales agent (whether engaged by Developer or not) is authorized to make any representations or other statements (verbal or written) regarding the condominium, and no agreements with, deposits paid to, or other arrangements made with, any real estate broker or agents are binding on Developer. For information concerning the condominium, refer to the prospectus. This Site and all of its content are the exclusive property of Developer and its licensors and service providers. This includes, without limitation, all text, design, graphics, videos, logos, images, icons, downloads, interfaces, code, and software, and the selection and arrangement thereof. This Site and all of its content are protected individually and as a compilation by copyright, trademark, and other applicable laws of the United States and other countries, and Developer reserves all its rights thereunder. All trademarks, service marks, and logos on this Site are the property of their respective owners. Nothing on this Site shall be construed as granting any license or right to use any trademark, service mark, or logo without the owner’s prior written permission, except as otherwise expressly stated herein. Developer makes no warranty or representation that your use of this Site will not infringe rights of third parties. Developer allows Site users to access, download, print, and copy the material contained on this Site for their use in connection with our products and services, provided that such use must be limited to what is reasonably necessary for such purposes, and that users must not modify or delete any copyright, trademark, or other proprietary notice on such material. Developer expressly prohibits any other use of content of this Site, including without limitation copying, uploading, modifying, distributing, publishing, transmitting, reverse engineering, selling, licensing, or creating derivative works from any content of this Site or the Developer products or services described herein. Any use of content of this Site for purposes competitive to Developer is expressly prohibited. Developer also expressly prohibits any use of any hardware, device, software, or routine to damage or interfere with this Site or its operation or to gain unauthorized access to any hardware, software, system, or data. Developer prohibits anyone from framing this Site or its content or using our Site content or proprietary marks as meta tags, except with our prior written consent. This prohibition covers all framing and “hidden text” techniques and technology. As a convenience to you, this Site may contain links to other sites operated by Developer, its affiliates, or third parties. Different terms and conditions may apply to your use of linked sites. Developer is not responsible for the content, security, operation, or use of any linked sites operated by others or the products or services that may be offered or obtained through those sites. Inclusion of links to other sites should not be viewed as recommendation, approval, or endorsement of those sites or their content by Developer. Developer is not responsible for any loss, damages, or other liabilities incurred as a result of your use of linked sites. YOUR USE OF THIS SITE IS AT YOUR SOLE RISK. THIS SITE IS PROVIDED ON AN “AS IS” AND “AS AVAILABLE” BASIS. DEVELOPER DISCLAIMS ALL EXPRESS OR IMPLIED WARRANTIES, INCLUDING BUT NOT LIMITED TO (I) THE IMPLIED WARRANTY OF MERCHANTABILITY AND FITNESS FOR A PARTICULAR PURPOSE; (II) ANY WARRANTIES REGARDING TITLE AND NONINFRINGEMENT; AND (III) ANY WARRANTIES IMPLIED FROM A COURSE OF PERFORMANCE OR COURSE OF DEALING. DEVELOPER MAKES NO REPRESENTATION OR WARRANTY THAT (A) THIS SITE OR ANY TECHNOLOGY ASSOCIATED WITH IT WILL BE SECURE OR FREE FROM MALWARE; (B) ACCESS TO THE SITE WILL BE UNINTERRUPTED OR ERROR-FREE; (C) INFORMATION ON THE SITE WILL BE ACCURATE, COMPLETE, OR TIMELY; OR (D) USE OF INFORMATION OR MATERIALS ON THIS SITE WILL BE ADEQUATE, USEFUL, RELIABLE, OR SUITABLE FOR ANY PURPOSE. NO ORAL OR WRITTEN ADVICE OR INFORMATION YOU MAY OBTAIN FROM DEVELOPER OR THROUGH OR FROM THIS SITE SHALL CREATE ANY WARRANTY OF ANY KIND. YOU WILL BE SOLELY RESPONSIBLE FOR ANY DAMAGE TO YOUR COMPUTER SYSTEM OR LOSS OF DATA RESULTING FROM YOUR USE OF THIS SITE, INCLUDING WITHOUT LIMITATION FROM UPLOADING OR DOWNLOADING ANY MATERIALS TO OR FROM THIS SITE. YOU ACKNOWLEDGE AND AGREE TO ALL OF THE FOLLOWING: (I) THIS SITE IS MADE AVAILABLE TO YOU IN CONNECTION WITH OUR SERVICES AND SUBJECT TO THE TERMS AND CONDITIONS OF ANY SERVICE AGREEMENT; (II) YOU ASSUME FULL RESPONSIBILITY FOR YOUR USE OF THIS SITE; (III) USE OF THIS SITE IS AT YOUR OWN RISK; (IV) ANY INFORMATION YOU SEND OR RECEIVE MAY BE INTERCEPTED BY UNAUTHORIZED PARTIES; AND (V) TO THE FULLEST EXTENT PERMITTED BY APPLICABLE LAW, AND EXCEPT AS OTHERWISE EXPRESSLY PROVIDED IN WRITTEN AGREEMENTS EXECUTED BETWEEN US, NEITHER DEVELOPER, NOR ITS AFFILIATES, SUPPLIERS, OR THIRD-PARTY CONTENT PROVIDERS WILL BE LIABLE FOR ANY DIRECT, INDIRECT, PUNITIVE, EXEMPLARY, INCIDENTAL, SPECIAL, CONSEQUENTIAL, OR OTHER DAMAGES ARISING OUT OF OR IN ANY WAY RELATED TO THIS SITE OR ANY OTHER SITE YOU ACCESS THROUGH A LINK OR INFORMATION ON THIS SITE OR FROM ANY ACTIONS WE TAKE OR FAIL TO TAKE AS A RESULT OF COMMUNICATIONS YOU SEND TO US, OR ANY DELAY OR INABILITY TO USE THIS SITE, OR FROM ANY INFORMATION, PRODUCTS, OR SERVICES ADVERTISED IN OR OBTAINED THROUGH THIS SITE, THE REMOVAL OR DELETION OF ANY MATERIALS POSTED ON OR SUBMITTED TO THIS SITE, THE COST OF PROCUREMENT OF SUBSTITUTE SERVICES AND/OR GOODS, UNAUTHORIZED ACCESS TO OR ALTERATION OF YOUR TRANSMISSIONS OR DATA, THE STATEMENTS OR CONDUCT OF ANY THIRD PARTY ON OUR SITE, RELIANCE ON CONTENT, USER SUBMISSIONS, AND/OR OTHER SUBMISSIONS ON OUR SITE, OR ANYTHING OTHERWISE ARISING OUT OF THE USE OF THIS SITE, WHETHER BASED ON CONTRACT, TORT, STRICT LIABILITY, OR OTHERWISE, EVEN IF DEVELOPER, ITS AFFILIATES, SUPPLIERS, OR THIRD-PARTY CONTENT PROVIDERS HAVE BEEN ADVISED OF THE POSSIBILITY OF DAMAGES. THIS DISCLAIMER APPLIES, WITHOUT LIMITATION, TO ANY DAMAGES OR INJURY ARISING FROM ANY ERROR, OMISSION, DEFECT, FAILURE OF PERFORMANCE, INTERRUPTION, DELETION, DELAY, MALWARE, DATA CORRUPTION, OR NETWORK OR SYSTEM OUTAGE RELATING TO THIS SITE. THIS DISCLAIMER ALSO APPLIES TO ANY TANGIBLE OR INTANGIBLE LOSS, INCLUDING WITHOUT LIMITATION ANY LOSS OF YOUR OR ANY THIRD PARTY’S PROFITS, AND ANY THEFT, DESTRUCTION, UNAUTHORIZED ACCESS TO, ALTERATION OF, LOSS, OR USE OF ANY RECORD OR DATA. YOU SPECIFICALLY ACKNOWLEDGE AND AGREE THAT DEVELOPER, ITS AFFILIATES, AND ITS SUPPLIERS SHALL NOT BE LIABLE FOR ANY ACTS OF ANY THIRD PARTY IN CONNECTION WITH THIS SITE, INCLUDING WITHOUT LIMITATION ANY ILLEGAL, DEFAMATORY, OFFENSIVE, OR UNAUTHORIZED CONDUCT BY ANY USER OF THIS SITE. You acknowledge and agree that materials found on this Site are subject to the U.S. Export Administration Laws and Regulations. Diversion of such materials contrary to U.S. law is prohibited. You agree that none of the materials, nor any direct product therefrom, is being or will be acquired for, shipped, transferred, or re-exported, directly or indirectly, to proscribed or embargoed countries or their nationals, nor be used for nuclear activities, chemical biological weapons, or missile projects unless authorized by the U.S. Government. Proscribed countries are set forth in the U.S. Export Administration Regulations. Countries subject to U.S. embargo are: Cuba, Iran, Iraq, North Korea, Syria, and the Sudan. This list is subject to change without further notice from Developer, and you must comply with the list as it exists in fact. You certify that you are not on the U.S. Department of Commerce’s Denied Persons List or affiliated lists or on the U.S. Department of Treasury’s Specially Designated Nationals List. You agree to comply strictly with all U.S. export laws and assume sole responsibility for obtaining licenses to export or re-export as may be required. Developer reserves the right to remove or bar any person from this Site and prevent anyone from uploading or downloading materials to or from this Site, without notice and in Developer’s sole discretion. Developer also reserves all other rights it may have, including without limitation the right to seek any other relief to which Developer may be entitled by law or in equity.